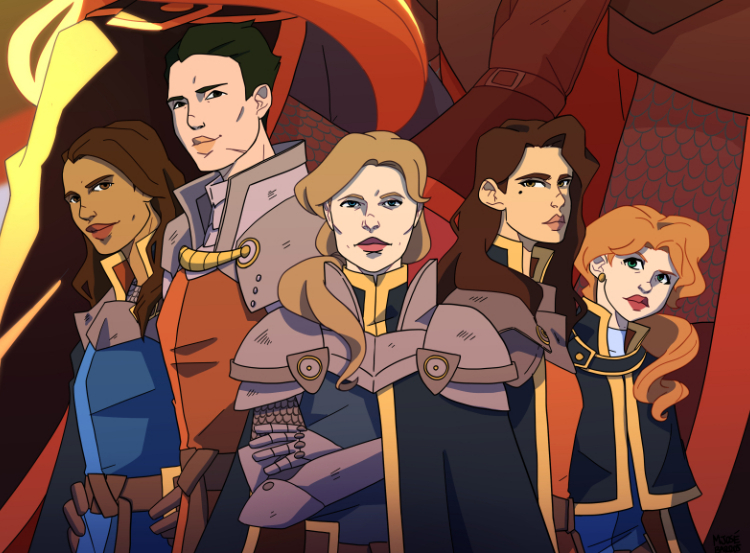 The Order of Belfry is a female knights and girls love comic. If you are into knighthood and the pursuit of love and honor, then this is the place for you. The comic follows the development of war between two kingdoms through the eyes of an all-female knight order. We hope to bring you the battles, the turmoils, and the love stories of an incredible cast of characters and the world they inhabit! Thank you for checking it out! This patreon helps us with production, which means more time for us to dedicate to the comic. Your support helps us get closer and closer to making additional things with The Order of Belfry. MJ Barros (artist) and Barbara Perez (writer), are the team bringing this story to life. We are both working hard to bring The Order of Belfry to you and with your patreon support, you help us too! Your contribution helps the comic stay alive, the Order of Belfry continues to fight for another day! Your support resonates across the Order! If we instate any reward systems, you'll be the first to reap the benefits. This and all higher support also receive a PDF version of every chapter we finish, including an alternate cover! We’ll enact a monthly livestream sessions schedule! Watch how the comic comes to life, we’ll organize permanent monthly sessions to show you in progress segments of what’s to come. You'll also be able to interact with us through live-chat!